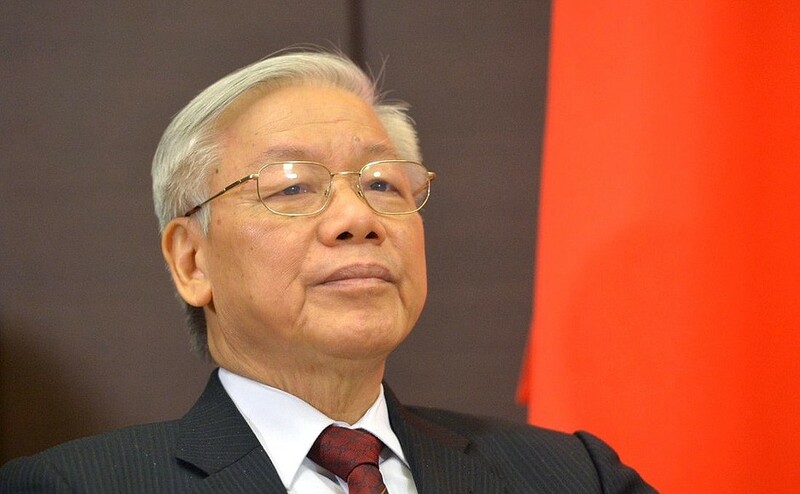 On 3 October, the secretary-general of the Vietnamese Communist Party, Nguyen Phu Trong, received overwhelming support from the party’s central committee for assuming the role of the country’s president, which has been vacant since the death of Tran Dai Quang on 21 September. The National Assembly that formally makes the decision will gather later this month. When this decision is made, it will be one of the biggest events in the VCP’s political history. Here’s why. 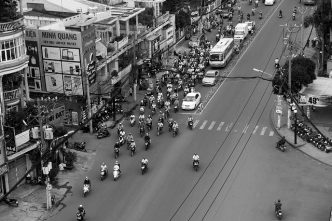 Among socialist countries, Vietnam is the only one that still has a collective leadership model. This has been, for a long time, the most significant distinction between the Vietnamese and Chinese communist party ruling systems. The collective leadership system in Vietnam was designed to avoid the creation of a personality cult, and it has served that purpose. Even the most prominent member and founding father of the VCP, Ho Chi Minh, never enjoyed the consolidation of power of his counterparts in the post-war socialist world. The foundation of power lies in the four key posts at the apex of Vietnam’s politics: the secretary-general (party), the president (state), the prime minister (government), and the chairman of the National Assembly. The practice of collective leadership may have avoided putting too much power in the hands of one person, but it lacks efficiency and is problematic for policy coordination when there are many, often contradictory opinions—in foreign and defence policy in particular. And collective leadership in Vietnam, like anywhere else, hasn’t brought more equality. The leadership’s relationships with one another and with other key members of the politburo determine the power structure. Among the arguments for moving away from the current model are that it will streamline bureaucratic procedures, cut administrative costs and improve policy coordination. Nguyen Phu Trong has been in the top position in the VCP since 2011, and retained it after an exceptional victory at the party’s national congress in January 2016. Despite passing the age limit for retirement, Trong defeated Nguyen Tan Dung, promising to serve for only half a normal term. But as the deadline for Trong to step down from his post of secretary-general approached, Quang’s sudden death created an opportunity—consolidating the positions of the president and the party secretary-general under one person. The five-day plenum of the party’s central committee has given its seal of approval for Trong’s elevation to the dual role. In the region, and arguably around the world, Vietnam’s politics appear to be very stable. This is partially due to the opaque nature of intraparty dynamics and the party’s decision-making processes. But, since 2016, Vietnam’s political landscape has been shaken by a number of arrests and prosecutions of high-profile politicians linked to the anti-corruption campaign and early retirement due to ill health. One of the more prominent departures from power was Dinh The Huynh’s. Huynh was the executive secretary of the secretariat of the Central Committee of the VCP, considered the fifth most powerful post in the party hierarchy. Arrests have included the high-profile ‘kidnapping’ of Trinh Xuan Thanh, former head of Petro Vietnam Construction, who fled to Germany seeking political asylum. Vietnamese security forces seized Thanh in Berlin in July 2017 in an undercover operation and returned him to Vietnam, putting Hanoi’s relations with Germany and the EU under strain. While by no means comparable in scope—one source cites some 200 officials arrested in Vietnam—the VCP’s efforts can’t escape comparison to the anti-corruption crackdown in China. Secretary-General Trong has vowed to clean up the party, ‘reform in the right direction’ and restore the public confidence in the party as his new manifesto. Because business and politics are closely intertwined in Vietnam, some of the key figures in the country’s large state-owned enterprises have been targeted, as the case of Thanh showed. 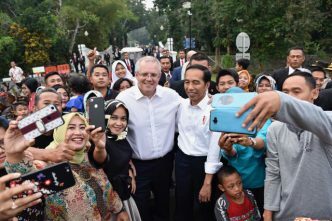 Many saw the campaign as targeting political opponents, such as the remaining supporters of the former prime minister Dung—who lost out to Trong in the last party congress—often associated with crony capitalism. 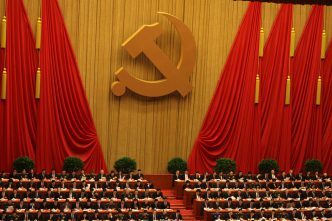 The run of arrests, illnesses and deaths left significant vacancies in the VCP’s top ranks, including several seats in the 19-person politburo. The party has now instituted a new policy of periodic health checks for the top cadres. When the consolidation of two of four top party positions is formally ratified by the National Assembly it will bring a formal end to the collective leadership structure that has ruled Vietnam since the promulgation of the 1992 constitution. The move to concentrate power in the hands of Trong draws obvious parallels with China’s Xi Jinping, raising the political stakes for Vietnam’s most powerful leader. While collective leadership has its drawbacks, it also ‘secured’ collective responsibility. Another key question is whether the merger will last. 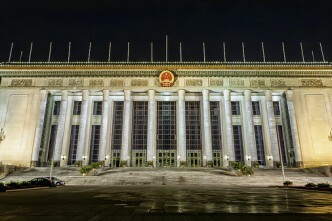 We might have to wait until the 13th party congress in 2021, when Trong is expected to depart the stage, to find out. The issue of erasing the gap between the party and the state—including by merging responsibilities—has been a long-standing one. This latest reform will also have implications for external relations. Trong has been known for having a stronger affinity with Beijing than his peers. 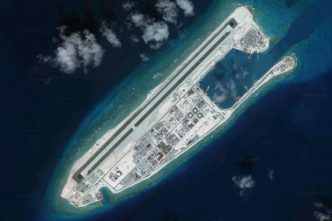 Amid the tensions flowing from the militarisation of the South China Sea, which have rung alarm bells in Vietnam’s defence and diplomatic communities, it is Trong who has proclaimed that ‘[Vietnam–China] relations are at their best’. At a time when China regularly challenges Vietnam’s sovereignty, national security and economic interests, whether the fraternal nostalgia is well founded remains a hard question—one that the VCP will have to answer before the nation. Huong Le Thu is a senior analyst at ASPI. Image courtesy of the President of Russia. Vietnam: Asia’s unexpected peace broker?